front of the city center of Helsinki. 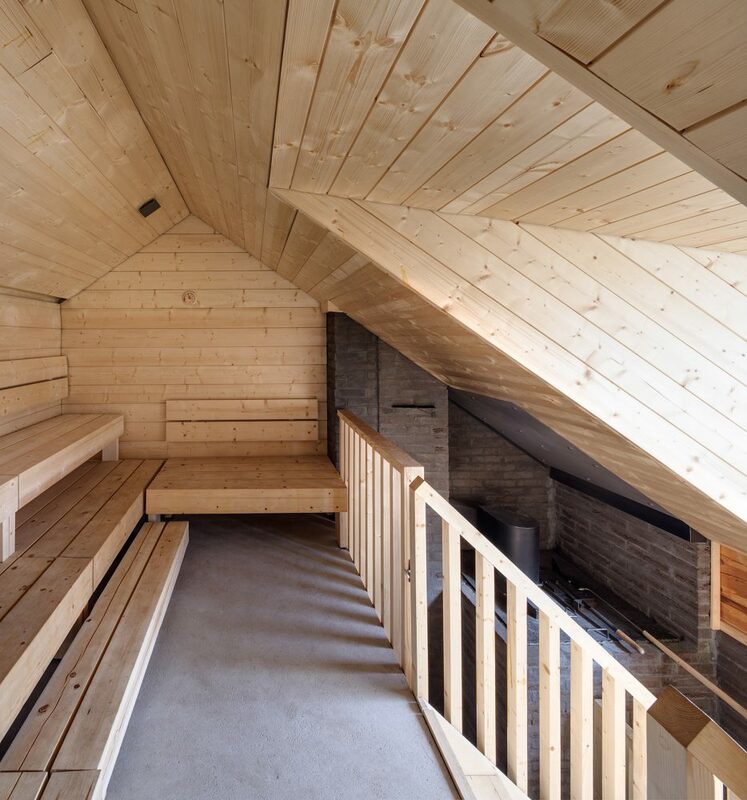 It is part of the historical continuum of the tradition of public saunas in Finland. 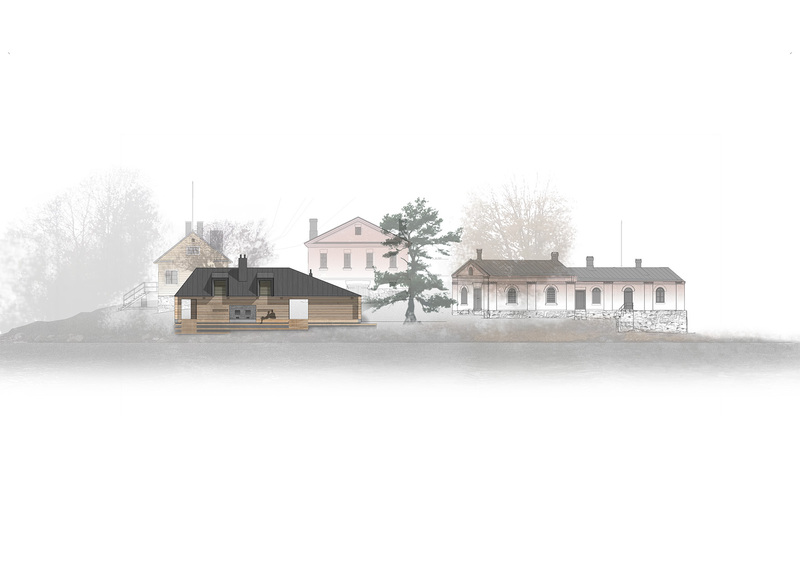 On the border between urban and nature, between the busy life of the city and the open landscapes on the sea, with views framing the silhouette of the city on one side and opening towards the see on the other, the Lonna Sauna sits in the context of a group of old historical structures built during the Russian rule in the 19th century. 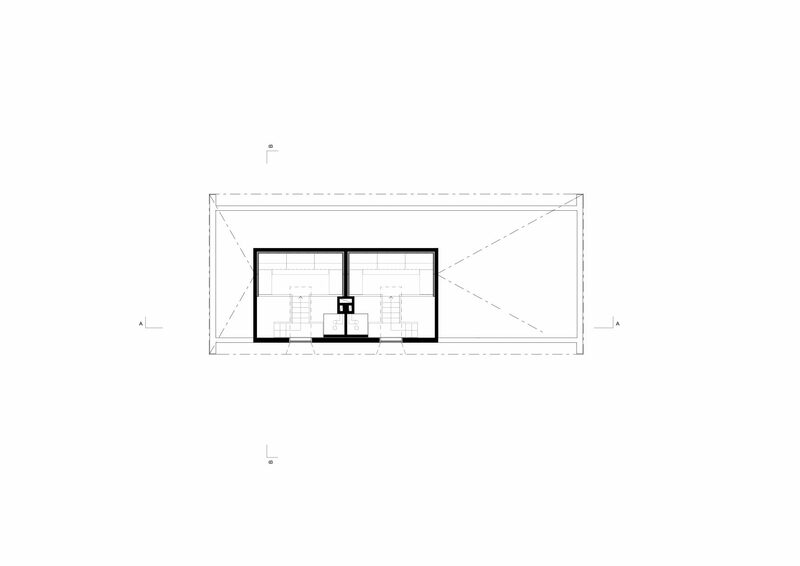 The compact 190 m2 sauna building is built solely with natural materials. It is made of masterfully handcrafted wooden logs that are left untreated. 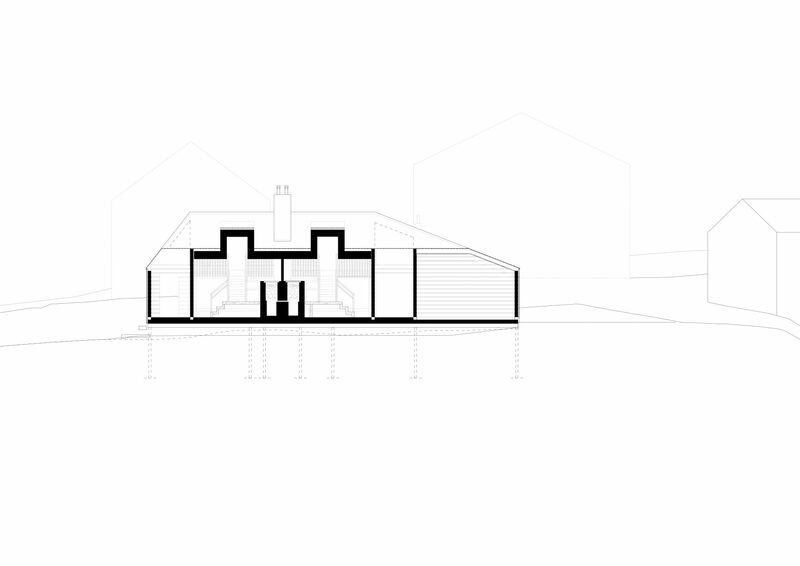 It has a sculptural pitched roof in zinc plate. 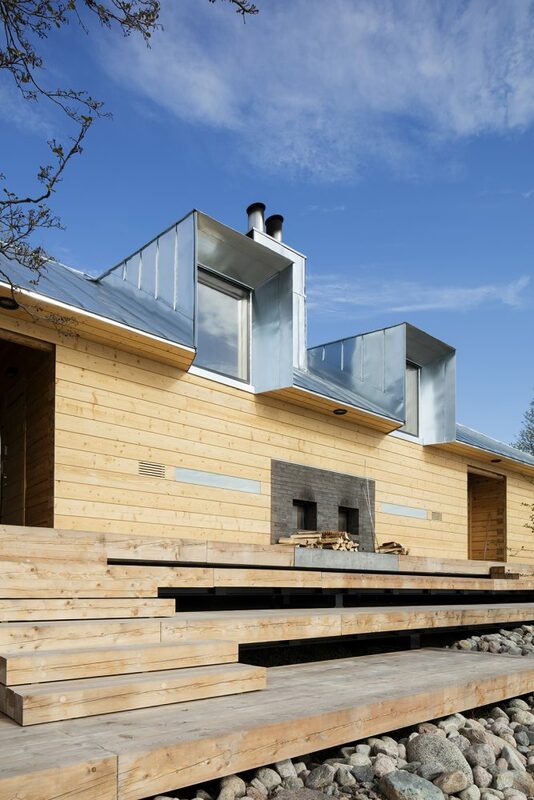 Heated with wood-burning stoves the Lonna Sauna recreates the calm and almost sacred feeling of the traditional Finnish sauna, while placing it in a new, contemporary architectural frame. 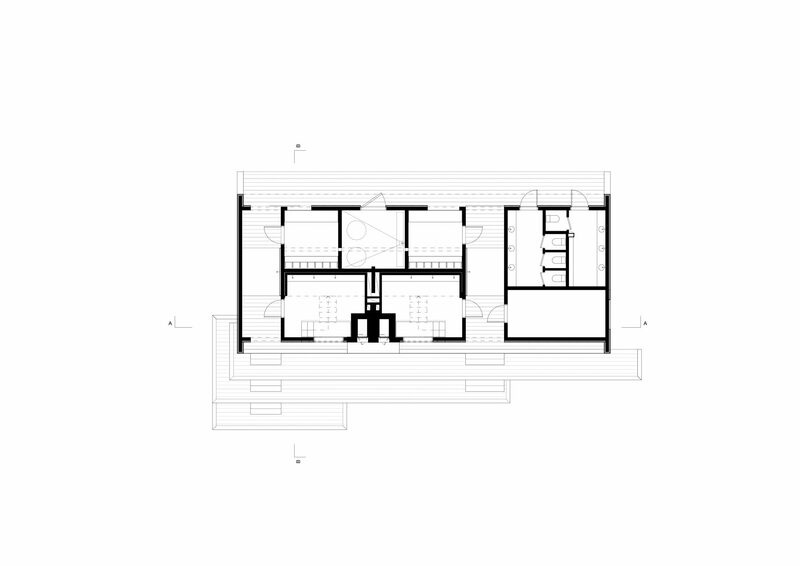 The skillful use of larch in the furnishings and the large windows opening a view from the sauna loft into the archipelago create a soothing and relaxing atmosphere. 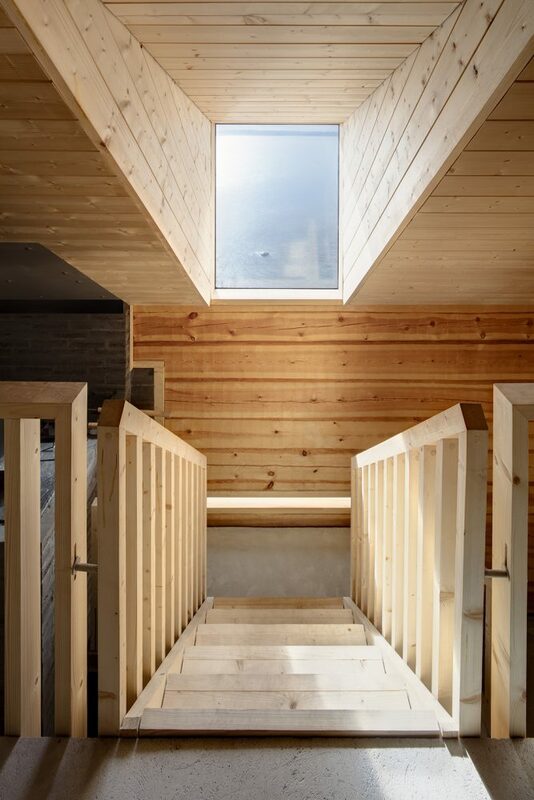 A terrace directly accessible from the sauna rooms as well as from the outdoor shower space bridges the sauna with the seashore. The Lonna island used to be occupied by the military and has only recently been opened to the public. 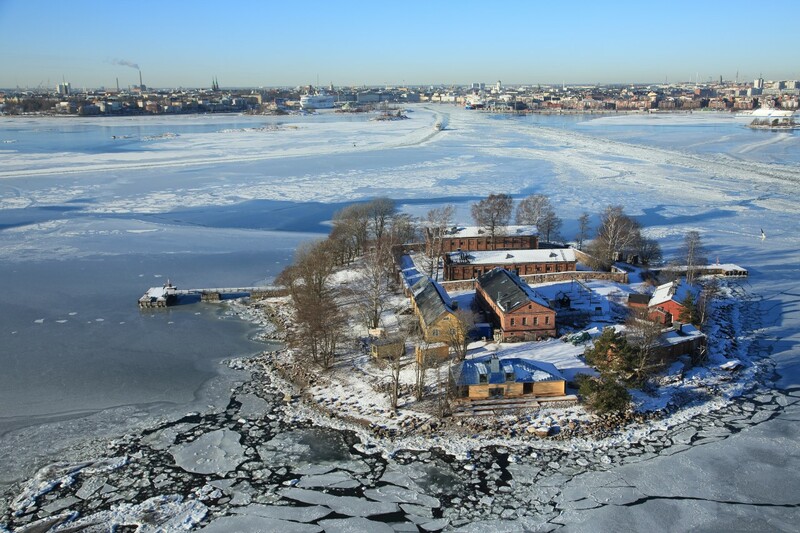 It is located right next to the larger Suomenlinna island which is a Unesco World Heritage site. The old buildings on the Lonna island are landmarked, and the nature on the island is delicate and special. 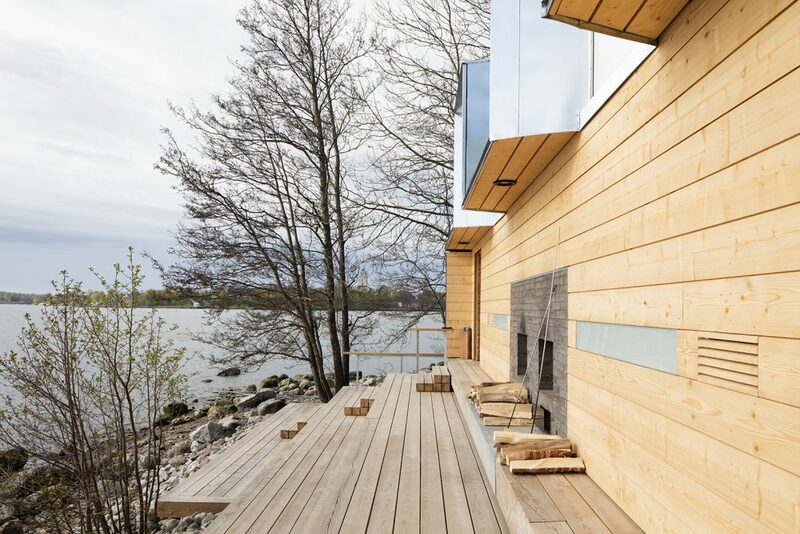 Offering people a way to relax and enjoy the nature and the sea, just a short boat trip away from the city, the Lonna Sauna sits in the unique environment of the island where the man-made meets the natural and enters into dialogue with it. 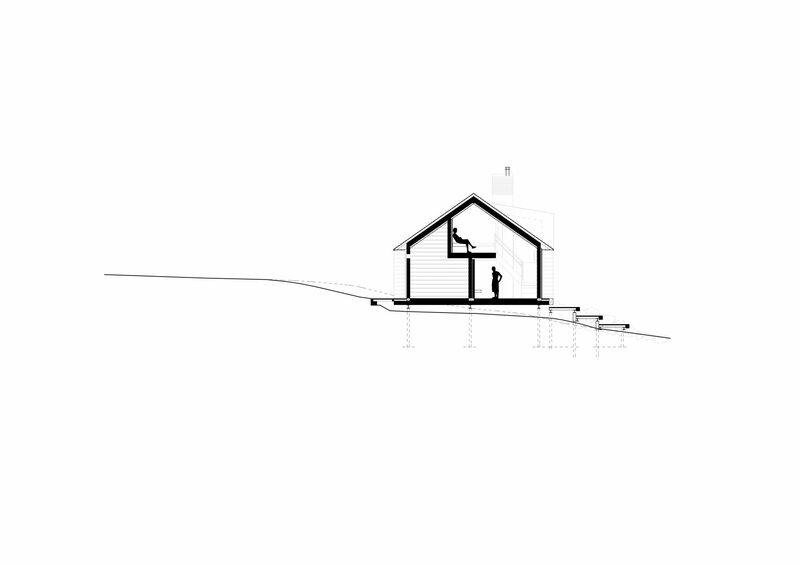 As the functions on the island change, so does the sauna culture in Finland. Public saunas were once lively places and numerous throughout the country, but today there is only a few of them left. 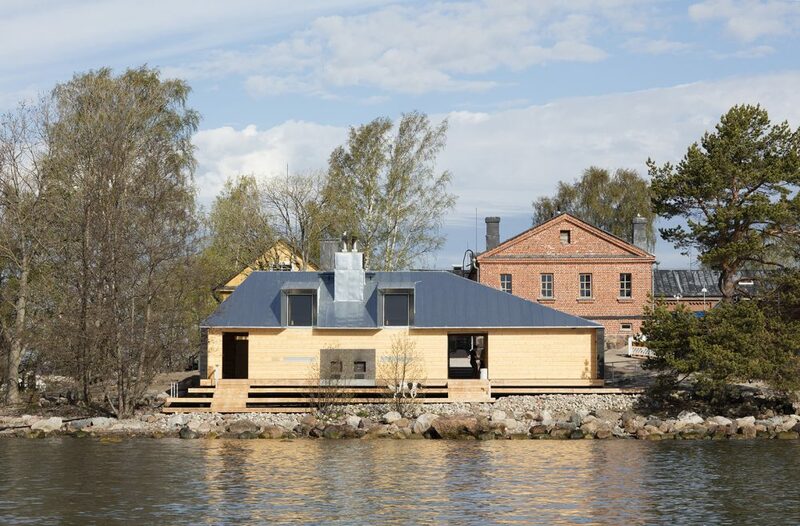 However, in recent years, there has been a renewed interest in the tradition of public saunas and a number of new public sauna buildings have opened in various parts of the city in Helsinki. , or a special place for a social gathering in the form of a lively party under the summer skies. 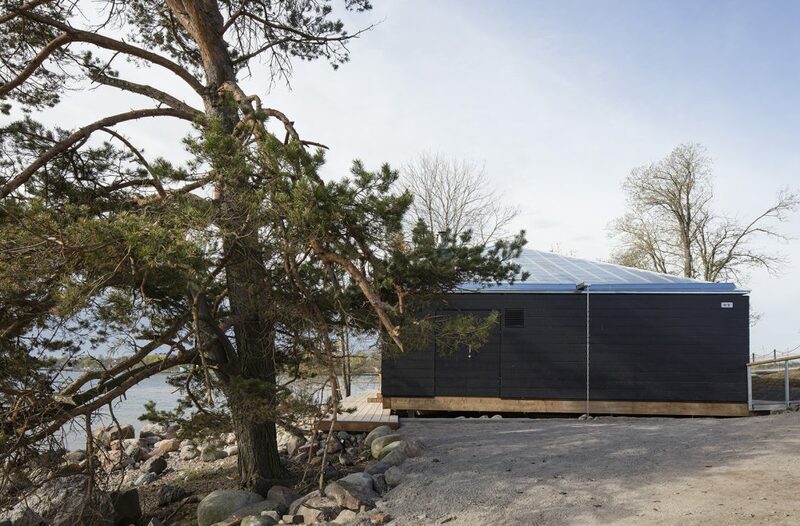 The Lonna Sauna was officially opened to the public in summer 2017. The building is commissioned by the Governing Body of Suomenlinna. 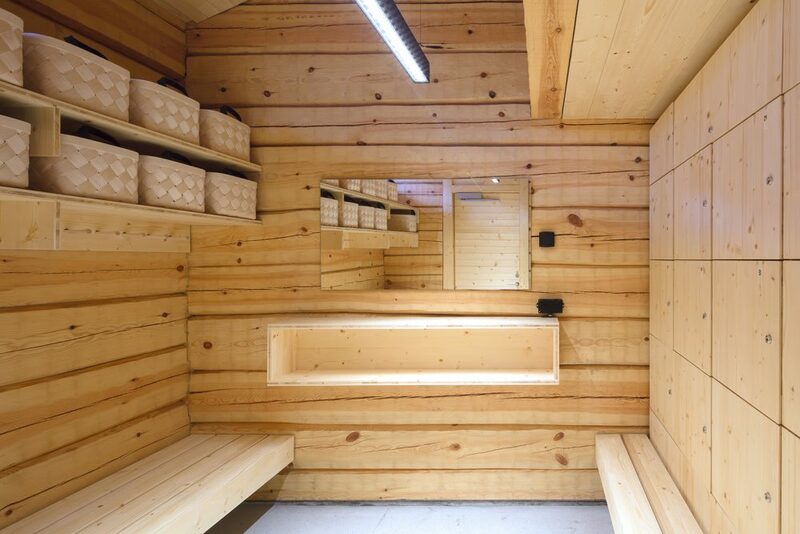 For more information on the Lonna Sauna, visit the OOPEAA news page here.